You'll be £24.00 closer to your next £10.00 credit when you purchase Arnhem 1944. What's this? 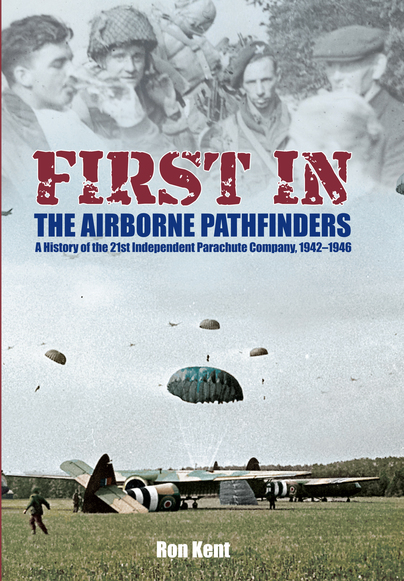 The airborne battle for the bridges across the Rhine at Arnhem ranks amongst the Second World War’s most famous actions – inspiring innumerable books and the star-studded 1977 movie. This book, however, is unique: deeply moved, the author provides a fresh narrative and approach – concentrating on the tragic stories of individual casualties. These men were killed at different junctures in the fighting, often requiring forensic analysis to ascertain their fates. Wider events contextualise the author’s primary focus – effectively ‘resurrecting’ casualties through describing their backgrounds, previous experience, and tragic effect on their families. In particular, the emotive and unresolved issue of the many still ‘missing’ is explored. During the course of his research, the author made numerous trips to Arnhem and Oosterbeek, travelled miles around the UK, and spent countless hours communicating with the relatives of casualties – achieving their enthusiastic support. This detailed work, conducted sensitively and with dignity, ensures that these moving stories are now recorded for posterity. 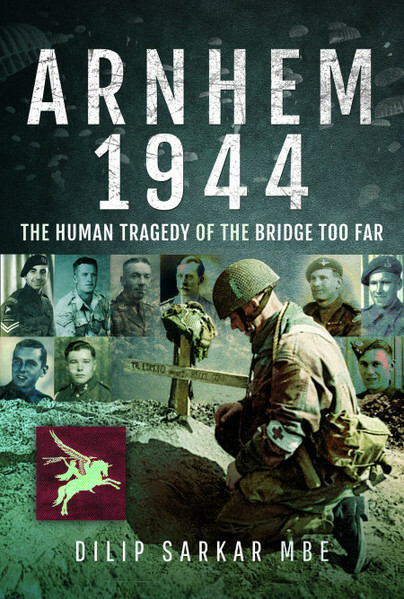 Included are the stories of Private Albert Willingham, who sacrificed his life to save civilians; Major Frank Tate, machine-gunned against the backdrop of blazing buildings around Arnhem Bridge; family man Sergeant George Thomas, whose anti-tank gun is displayed today outside the Airborne Museum ‘Hartenstein’, and Squadron Leader John Gilliard DFC, father of a baby son who perished flying his Stirling through a hail of shot and shell during an essential re-supply drop. Is Private Gilbert Anderson, who remains ‘missing’, actually buried as an ‘unknown’, the author asks? Representing the Poles is Lance-Corporal Czeslaw Gajewnik, who drowned whilst escaping the hell of Oosterbeek, and accounts by Dutch civilians emphasise the shared suffering – sharply focussed by the tragedy of Luuk Buist, killed protecting his family. The sensitivity still surrounding German casualties is also explained. This raw, personal, side of war, the hopes and fears of ordinary men thrust into extraordinary circumstances, is both deeply moving and revealing: no longer are these just names carved on headstones or memorials in a distant land. Through this thorough investigative work, supported by those who remember them, the casualties live again, their silent voices heard through friends, relatives, comrades and unpublished letters. So, let us return to the fateful autumn of 1944, and meet those fighting in the skies, on the landing grounds, in the streets and woods of Oosterbeek, and on the ‘bridge too far’ at Arnhem. Now, the casualties can tell their own stories – as we join this remarkable journey of discovery. A prolific author, DILIP SARKAR has been obsessed with the Second World War for a lifetime. An MBE for ‘services to aviation history’, and Fellow of the Royal Historical Society, unsurprisingly, for a retired police detective with a First in Modern History, his work has always been evidence-based - often challenging long-accepted myths. Firmly focussed on the ‘human’ experience of war, his many previous works include the authorised biographies of Group Captain Sir Douglas Bader and Air Vice-Marshal ‘Johnnie’ Johnson, the best-selling Spitfire Manual and The Few. Dilip has presented at such prestigious venues as Oxford University, the Imperial War and RAF Museums, and National Memorial Arboretum; he works on TV documentaries, both on and off screen.